It's that time of year the pumpkin patches are popping up all over town. They are filled with all sorts of types of pumpkins big ones, small ones, bumpy ones,smooth ones each one very unique. I love taking my kids to the pumpkin patch each year. They get so excited to see all of the pumpkins. Today's book club selection is a great little story that could lead in to a great math lesson on pumpkins. 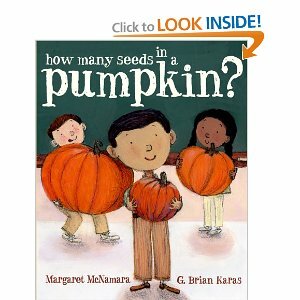 How many seeds in a pumpkin, by Margaret McNamara is a fun pumpkin-themed story that explores basic math and science concepts. The kids in Mr. Tiffin's class are asked "How many seeds are in a pumpkin?" What kid wouldn't want to cut open a big round pumpkin and find out? While they all have their own ideas about which ones might have the most, they are surprised by what they find out in the end. The story explores skip counting and estimation in a fun pumpkin-themed classroom experiment. This book makes a wonderful addition to any math or science lesson, and it's a fun way to reinforce counting skills at home. So as you head to the pumpkin patch with your little ones this fall take the opportunity to add a little math and fun into your pumpkin hunting. 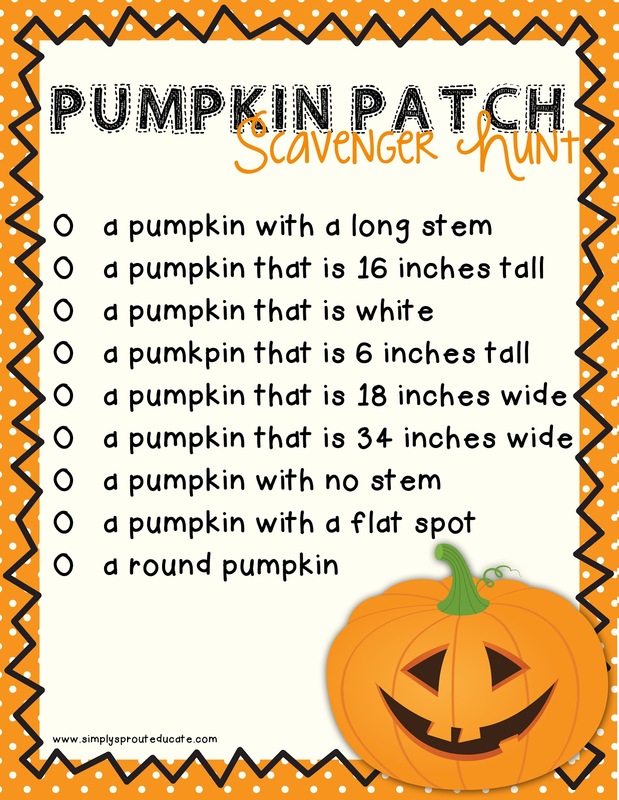 Bring a measuring tape with you and send your kids on a little pumpkin scavenger hunt. Just use the freebie printable below and let your kids have some math fun! 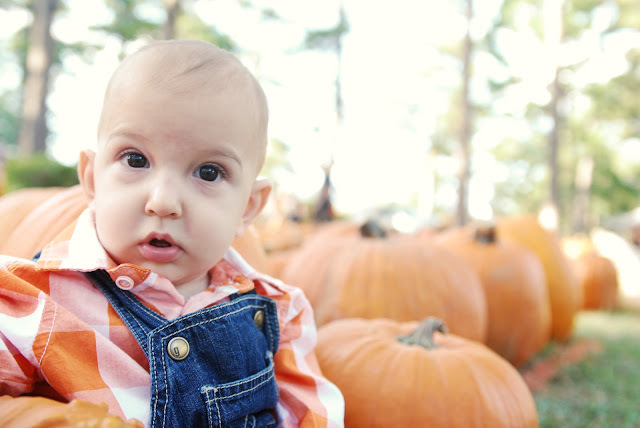 And when you are done picking out the perfect pumpkin don't forget to help your little ones count all those seeds. Lay down some wax paper and draw circles on it with a sharpie marker, have kids make a pile of 10 seeds within each circle. This will make counting time a whole lot easier! To further your pumpkin math experience don't forget to compare pumpkin sizes and seed counts. Thanks so much for this cute freebie! I would love for you to hop on over to my blog and check it out. I am your newest follower. Thanks again! This is too cute! My class already took our trip to the pumpkin patch but I will definitely hang on to this for next year!